Opened in 1921, the Hotel Charlotte is a California Gold Rush era property listed on the National Register of Historic Places. Charlotte DeFerrari, the hotel’s namesake and builder, was born in Genoa, Italy in 1881. Her family migrated to the California gold fields when Charlotte was sixteen. During this era, the Groveland area went from boom to bust and back again. The gold rush and then the San Francisco Hetch-Hetchy water project brought prosperity and notoriety to the Groveland and Big Oak Flat settlements. Shortly after arriving in Groveland, Charlotte’s father was killed in a mining accident at Hardin Flat, and young Charlotte was left as sole provider to her younger siblings and mother. 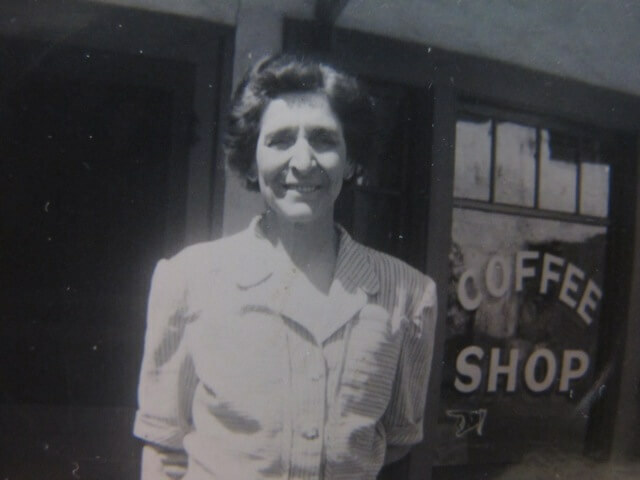 Young, single, and ambitious, she built the hotel on the site of an old livery stable, and in 1921, she purchased the Gem Saloon, next door, annexing it to the Hotel Charlotte as a restaurant. Charlotte DeFerrari became a legend in her own time, and it is rumored that she still roams the halls of her hotel. Brennen Jensen & Finn Horsley purchased the Hotel Charlotte in March 2019. Brennen & Finn are California natives who met and fell in love 20 years ago while attending college at Humboldt State University, among the redwood trees. They’ve been married for 17 years. 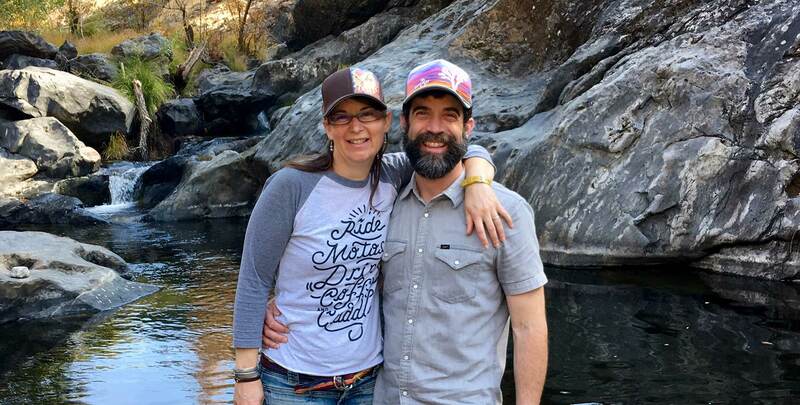 After working in hospitality and in the restaurant industry for a decade, Brennen & Finn have spent the last 15 years pursuing their professional careers and each establishing two successful small businesses in the Monterey Bay area. With long-standing ties to the Yosemite region however, they are honored to be joining the Groveland community as the new owners and caretakers of the local historic treasure, Hotel Charlotte. Coming of age in Groveland, California – From a young age, Brennen spent time each summer here in Groveland visiting Yosemite with her family. Just as her father had done with his father years before, and as she and Finn now do with their own nieces and nephews, Brennen visited to camp and hike in Yosemite among the Ponderosa and Sequoia trees, fish and swim in the rivers, and explore the breathtaking natural beauty. Brennen took her first job at nearby Family Camp at Yosemite (San Jose Family Camp), where she first found her way around a kitchen and dining hall to begin her journey in food service and hospitality. This is also the place that Brennen fell in love with nature, cultivating her deep connection to the environment. Brennen founded Emerging Ecologies in 2013, an a environmental consultancy dedicated to Giving rise to sustainable, engaged and resilient communities inspired by nature. She is delighted to bring this experience to Hotel Charlotte to benefit both our guests and the environment. Stay tuned for new and enhanced green practices in our hotel and restaurant over the coming year! Brennen is the grand-daughter of Italian immigrants and delighted to be returning to this special and unique place to carry on the legacy of Charlotte DeFerrari. Finn, a dental ceramist, took over the family business from his father in 2009. For 10 years he’s been successfully running the family dental laboratory in Monterey, continuing to fulfill his father’s hard earned legacy. But, having started off in the restaurant industry first as a dishwasher, busser and then eventually as a cook running the kitchen of a local’s favorite cafe in Trinidad in Humboldt County, he always dreamed of someday running his very own cafe. Arriving in Groveland, he immediately fell in love with the community, its people, culture, its way of life and the beauty of the natural landscape. Upon first seeing and staying at Hotel Charlotte, he knew he had a new home. But in a very real way he is returning home. Finn was born in the San Joaquin Valley in Visalia. He spent his formative first years of life living and playing in the town of Three Rivers, the gateway to Sequoia & Kings Canyon National Parks. He is grateful and humbled to have the opportunity to serve as caretaker of the historic Hotel Charlotte and to serve the community of Groveland. Come in for a visit, we look forward to meeting you! Cell Phones: There is very limited service for cell phones on all carriers in Groveland and Yosemite. We offer free long distance calls to anywhere in the USA from the Hotel Charlotte and recommend you pick up a calling card for international calls. Reservations:In general, an advance deposit equal to your first-night stay + tax will be charged at the time of booking. Additional nights will be billed when you arrive. We understand that sometimes your travel plans will change. Please let us know 7 or more days ahead of your arrival date if you need to make changes. There is a $30.00 processing fee per hotel room for all cancellations. If you cancel shorter than 7 days before your arrival, you will forfeit your deposit. Check-in/Check-out Times: We ask that guests check in between 4:00 pm and 9:00 pm; if you will be later, please let us know so that we can make arrangements to provide you after-hours access. Check-out time is 11 am. Parking: There is free guest parking behind the hotel. Lost & Found: We prefer that you don’t leave items behind, but know from our own travelling that it does happen. If you have lost something somewhere along your trip, give us a call and if it is in our lost and found box, we will gladly mail it back to you for the cost of postage and a $10 handling fee. Occupancy: Room rates are based on listed occupancy. Additional guests over the age of 2 are $20.00/person, per night. Pets: We expect you may want to bring your pet on vacation with you. We appreciate your discussing this with us ahead of time as we only have three rooms (7, 8 and 15) available to guests traveling with their four-legged friends. There is a $20.00 fee, per pet, per night, for pets in our pet-friendly hotel rooms. Room Selection: We make every effort to keep you in the room you have chosen, however, there are times when we do have to move folks around. If this happens, you will get an equal room in size, price and amenities and may even be upgraded at no additional charge. Smoking: Smoking is not allowed in the hotel, restaurant or guest rooms. An additional cleaning fee of $250 will be incurred if this policy is not respected. Damages: You will be charged if any items are found damaged and/or missing during your stay. When it comes to vacations, we know how difficult it can be to leave your four-legged companion behind. But at Hotel Charlotte, you don’t have to! Our pet-friendly hotel in Groveland, CA, ensures that your pet is just as relaxed and comfortable as you are. What’s better than that? We offer pet-friendly lodging for guests here at Hotel Charlotte in rooms 7, 8, and 15. Our pet-friendly accommodations have just the right amount of space for you, your family, and of course your pet! Groveland has many pet-friendly activities, including select paved trails in Yosemite National Park. Be sure to check the National Park Service website for Yosemite before visiting the park with your pet. Here you will find detailed information on where you can take your pet in the park, as well as which parts are restricted. There is a dog park in Groveland at Pine Mountain Lake that is the perfect place for your dog to run around and exercise while on vacation! The dog park is for members only, but you can drop by the Groveland Community Services District (GCSD) and fill out a membership form and pay the fee. The fee is only $25 per calendar year and is good for up to 2 dogs, additional dogs are $10 each. Some other great places to take dogs are Rainbow Pools and down Lumsden Road on the Tuolumne River. We expect you may want to bring your pet on vacation with you. We appreciate your discussing this with us ahead of time as we only have limited lodging available to guests traveling with their four-legged friends. There is a $20.00 per night, per pet, fee for pets in our pet-friendly hotel rooms. If you are looking for a local dog sitter/boarder where you can keep your dogs for the day while you explore Yosemite, there is a great nearby boarding facility called Big Creek Boarding. At Hotel Charlotte we are dedicated to protecting your privacy and safeguarding your personally identifiable information unless we are specifically requested to do so by you. Our main purpose in collecting your personal information is to provide you with a streamlined experience in making reservations at Hotel Charlotte. We only collect information about you that we consider necessary for achieving this. Personally identifiable information is only obtained when making a reservation. All identifiable information provided will not be disclosed to anyone unless we are specifically requested to do so. Hotel Charlotte does not give or sell to anyone any information we collect on our site. At Hotel Charlotte, we take security seriously. When users make a reservation we use every precaution to safe guard it online and offline. Hotel Charlotte may amend this Privacy Statement from time to time in order to meet changes in the regulatory environment, business needs, or to satisfy the needs of our guests, properties, strategic marketing partners, and service providers. If you have any questions or concerns about this Policy or the way we use your Personal Information, please feel contact us by email at stay@innsofgroveland.com; via regular mail at PO Box 787, Groveland, CA 95321; or by telephone at (209) 962-4000. Your privacy is of the utmost importance to Hotel Charlotte and we welcome your feedback. Hotel Charlotte is committed to making our website accessible to people who are differently abled. Currently our reservation system does not meet AA standards of WCAG 2.0. This is something we will continue to address with our reservation company, so that it too will be accessible to people with disabilities in the future. If you find you are having difficulty determining availability or booking an accommodation via our online system, please contact us at the links below and we will be happy to assist you directly. Also,we are specifically in the process of working to bring our blog up to these standards.